Constables, State Game Wardens, EMS, Law Enforcement, Fire Fighters and Volunteer Fire Fighters, ALL FIRST RESPONDERS, etc. that are required to respond via personally owned vehicle to their department for a callout are eligible for Government Concessions that will save you thousands of dollars below dealer cost. Notarized letter from the director of the department stating that first responder is on call and uses a POV to respond to their department for a callout. 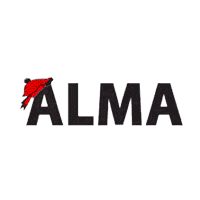 Order a Brand New Vehicle from Alma Chrysler Jeep Dodge Ram built to your exact specifications. *Limited to one purchase per year by the responder. Ready to take advantage of this great savings? Call Eric Havens ​989-634-1510989-681-3900 Now.